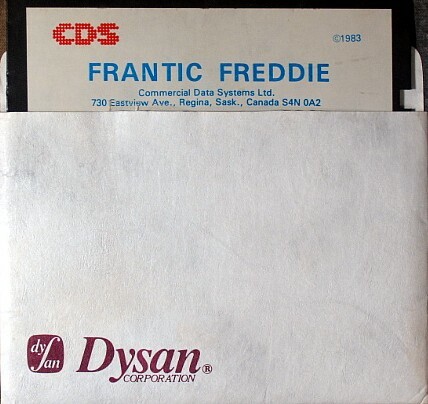 The very rare original release of this game by CDS, a small company from Saskatchewan, Canada! It would later be republished by Audiogenic among others. This game is perhaps best known for its catchy music - a different popular rock tune on every level.